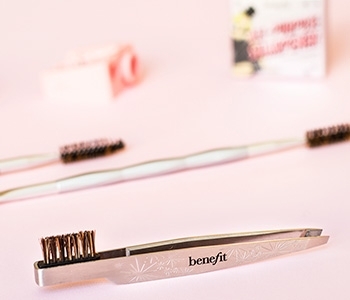 You don’t need to be a makeup expert to enjoy Benefit’s range of handy tools and brushes. Created to beautifully enhance and boost the performance of your favourite makeup products, Benefit’s collection of innovative tools and brushes were made to give your complexion an instant flawless finish. From finding your perfect contouring brush to discovering a game changing brow brush that will frame and enhance your face with ease, Benefit understands how important the right makeup tools can be for creating a truly professional finish.